As I reflect on the day of volunteering at the Hiroshima landslide clean-up yesterday, I am so impressed by the people I met. It has been almost 2 weeks since I first volunteered and I expected to see a big difference in the experience. But what was unique wasn’t necessarily the work or situation. It was, yet again, the amazing people I had an opportunity to talk with. Volunteering has given me insights into Japanese culture and its people that I could never get just by working here and going through a daily routine. While waiting in the first area in a park nearby the volunteer facility, I started chatting with a group of volunteers who had traveled down from Shiga prefecture to help. These guys had also been to Fukushima to do clean-up and other areas where disasters have occurred. One guy showed me pictures of his newborn and another spoke to me in English telling me of his years in Canada working as a sushi-chef. In the next waiting area, I chatted with a retired man who lives in the Saiki-ku area of Itsukaichi which suffered landslides in 1999. He said he remembered how long it took to rebuild the affected areas, so he wanted to come and help. While on the bus I chatted with an enthusiastic young man who had all the recommended gear and was excited to make a difference. He was so inspired by our group leaders and I hope he signs up to be a firefighter as he has such a passion for helping others. During one of the breaks, I talked with a soft-spoken banker who spent two years of graduate school at the university of Florida studying business. He chose Florida because he is a huge football fan- “Go Gators!” It was heartwarming as he told me that my volunteering as a non-Japanese was really moving to him. We shared stories of international understanding- like my heavy feelings, as an American, the first time I visited Hiroshima’s Peace Park and his uncomfortable feelings, as a Japanese, during a moment of silence on Pearl Harbor day at a US football game. We had regular breaks where the younger crew would pass out cold drinks donated by the owner of the home we were cleaning. This shows that no matter what the situation, the sempai-kohai relationship is strong in Japanese culture. Toward the end of the day, I worked with the female members of the crew while the “boys” tackled the last area with gusto. Us girls worked slow and steady and encouraged each other and apologized when we bumped into one another. I smiled when I heard the almost matsuri-like “yosha” and “yosh-hai-hai-hai” coming from the male team in the front of the house- they were enjoying the challenge of pushing themselves hard. When we headed home, there was silence in the bus as a deep weariness hit us all. On route home we stopped at the Yagi volunteer station to clean our boots, wash our hands, gargle and were given cold drinks. There are so many volunteers at these centers that work so hard everyday making sure the clean-up volunteers are taken care of and thanked as much as possible. 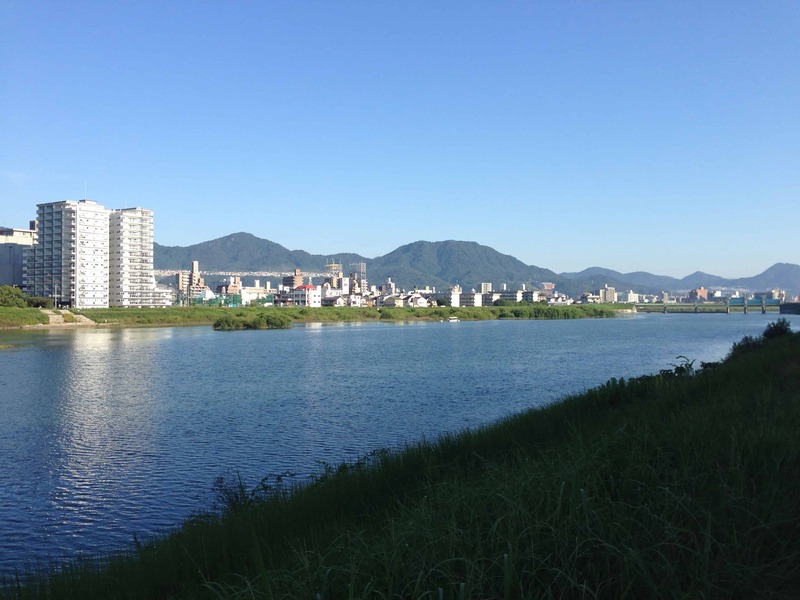 As I cycled home from Furuichi elementary school I felt tired but happy. Volunteering has given me insights into Japanese culture and its people that I could never get just by working here and going through a daily routine. It gave me a great feeling of connectedness and a true sense of belonging in a country that is not my own. This is a great article, Joy! So heartfelt. But the best part is that feeling you got SO comes through in your photos. It is so important what you are doing and that you share it the world this way!